The base salary for all rank-and-file members of the U.S. House and Senate is $174,000 per year, plus benefits. As our supposed voice in government, and because this salary is less than private sector mid-level executives this should be considered an acceptable rate of pay. The president of the United States is paid $400,000 a year, plus an extra expense allowance of $50,000 a year, a $100,000 non-taxable travel account and $19,000 for entertainment. If, and/or when politicians diverge from their constituents preferences, people then turn to organizations or groups whose ideals align with their own. We enthusiastically support nonprofits that lobby, advocate and litigate on behalf of causes near and dear to our hearts. Our generous support totals nearly $4 billion yearly to charitable causes. After all, we need these organizations to help us to—for instance—save wolves, protect our forests, litigate against arctic drilling, fight the extraction industry’s hold on our government, and so forth. Bottom line – the average American shells out a pretty penny to not-for-profits. But how much of your hard earned dollar pays the salary of the CEO of your favorite organization (not-for-profits that focus primarily on wolves are listed separately at the bottom of this page). Excessive Charity CEO Pay is Not the Norm. According to a study by Charity Navigator, America’s largest and most utilized charity evaluator, the median charity’s chief executive officer’s compensation among the charities that it rates is $123,462. The study examined CEO compensation at 4,587 charities in America. Access that study here. Cristián Samper – President and CEO of the Wildlife Conservation Society: $948,722. However CharityWatch claims his compensation was $1,320,978 for the same year (2017). Organization’s net assests: $820,179,441. Mark R. Tercek – President/CEO of The Nature Conservancy: $788,524. Organization’s net assests: $6,221,760,224. Carter S. Roberts – President/CEO of World Wildlife Fund: $756,312. Organization’s net assests: $348,168,752. Executive Director, Diane Regas: $342,213. Organization’s net assets: $208,689,132. Peter Seligmann – Chief executive officer of Conservation International: $601,877 and the former president, Gary Edson: $200,000. Organization’s net assests: $322,198,294. David Yarnold – President and CEO of the National Audubon Society: $578,159. Organization’s net assests: $455,913,942. Kenneth Kimmell – President, and Kathleen Rest – Executive director of Union of Concerned Scientists were compensated $284,359 and $255,387 respectively. Combined total salary: $539,746. Organization’s net assests: $45,760,480. Rhea Suh – President of the National Resources Defense Council: $497,907. Organization’s net assets: $306,223,915. Matthew Bershadker – President/CEO of the American Society for the Prevention of Cruelty to Animals: $437,390. Organization’s net assests: $231,354,726. Jamie Rappaport Clark – President of Defenders of Wildlife: $410,912. Organization’s net assests: $30,965,524. Donnel Van Noppen – President of Earthjustice: $394,110. Organization’s net assests: $121,691,085. Paul A. Hanle – President/CEO Climate Central: $359,144. Organization’s net assests: $1,222,892. Wayne Pacelle (now resigned) – President/CEO Humane Society of the United States: $387,200. Organization’s net assests: $249,138,831. Robin R. Ganzert – President/CEO American Humane: $372,607. Organization’s net assests: $14,505,747. Andrew F. Sharpless – Chief executive officer of Oceana: $367,877. Organization’s net assests: $37,593,914. Theresa Pierno – President/CEO of the National Parks Conservation Association: $355,559. Organization’s net assests: $41,532,714. Frederick S. Middleton – President of the Southern Environmental Law Center: $351,475. Organization’s net assests: $94,717,935. Nigel Sizer – President of Rainforest Alliance: $345,910. Organization’s net assests: $7,348,998. Collin O’Mara – President of the National Wildlife Federation: $343,694. Organization’s net assests: $53,212,679. Kenneth Berlin – President/CEO of The Climate Reality Project: $333,516. Organization’s net assets: $6,413,343. Anne Marie Leonard – Executive director of Greenpeace: $100,421. Other salaries of note: Marcy Bourne – Director of Special contributor relations: $127,859 and William Richardson – Senior major gifts officer: $106,729. Grand total: $335,009. Organization’s net assets: $12,677,090. Ken Cook – President of the Environmental Working Group: $295,000. Organization’s net assets: $6,859,370. Priscilla Feral – President, and Michael Harris – Wildlife law program director, of Friends of Animals were compensated $118,085 and $133,825 respectively. Organization’s net assets: $6,923,599. Adam Kolton – Executive director of the Alaska Wilderness League earned just $46,483, however, because the former executive director, Cynthia Shogan is compensated $176,382, this group is placed here on our chart. Note that Cynthia Shogan’s compensation is a whopping 6.18 percent of expenses. Organization’s net assets: $1,868,470. However for this time period (2017) the organization wass deficit 1,116,536. Kieran Suckling – Executive director of the Center for Biological Diversity: $209,900. Organization’s net assets: $19,063,853. David Phillips and John Knox, executive directors of Earth Island Institute were compensated $111,244 and $94,648 respectively. Organization’s net assests: $10,093,930. Stephen Wells – Chief executive officer of Animal Legal Defense Fund: $196,133. Organization’s net assests: $11,894,610. Kathleen Rogers – President of Earth Day Network: $192,134. It is important to note that this figure is an enormous 10.57 percent of expenses. Organization’s net assests: $305,436. Erich Pica – President of Friends of the Earth: $145,809. Organization’s net assests: $11,091,183. Dan Chu – Executive director of the Sierra Club: $19,032 and Peter Martin – former executive director: $170,150. Organization’s net assests: $125,286,788. Bern Johnson – Executive director of the Environmental Law Alliance Worldwide: $128,000. A notable 8.21 percent of expenses. Organization’s net assests: $2,060,407. Chris DeRose – President of Last Chance for Animals: $110,000 (4.5 percent of expenses). Organization’s net assests: $1,553,188. Gillian May Boeve – Executive director of 350.org: $102,014. Organization’s net assests: $11,249,637. Marilyn Kroplick – President/CEO of In Defense of Animals: $93,452. Organization’s net assests: $6,108,069. Gene Karpinski – President of League of Conservation Voters Education Fund: $80,832. Organization’s net assests: $8,401,858. John C. Horning – Executive director of WildEarth Guardians did not report compensation, however, Carol Norton the associate director received a salary of $71,250. The financial statement for this year shows a modest total of $175,861 for administrative expenses. Organization’s net assests: $2,334,523. Ingrid Newkirk – CEO of People for the Ethical Treatment of Animals (PETA): $22,688. Other salaries of note: Kathleen Guillermo – Senior vice president: $111,057 and Rosalind Zayas – Veterinarian: $109,585. Organization’s net assests: $13,734,522. Nathan Runkle – Chairman and president of Mercy for Animals was not compensated for his work. Matthew Allen Rice, the secretary, earned $71,468. Organization’s net assests: $13,985,454. So – IMHO, when PETA sends you an email saying dog houses are urgently needed and asks for your help, I believe your donation will help provide much needed shelter for a shivering dog, rather than build a caretaker cottage on the estate of an environmental organization’s CEO who is compensated hundreds of thousands of dollars yearly. I also believe that when Mercy for Animals or WildEarth Guardians asks for your donation your contribution will be well spent. Robert Schultz – Executive director of International Wolf Center: $91,408. Organization’s net assests: 1,747,858. Wolf Conservation Center currently is not yet rated by Charity Navigator. We can provide you with some information, however. From the IRS 990 form/2016; from the total revenue of 1,654,047, compensation of officers, directors, trustees, and/or key employee(s) was $73,797. Other salaries and wages, $276,096. Total salaries: $349,893. Organization’s Net assests in 2016: $4,518,491. From the 2017 annual report: Personnel expenses were $402,309 and total assests were $6,707,283. 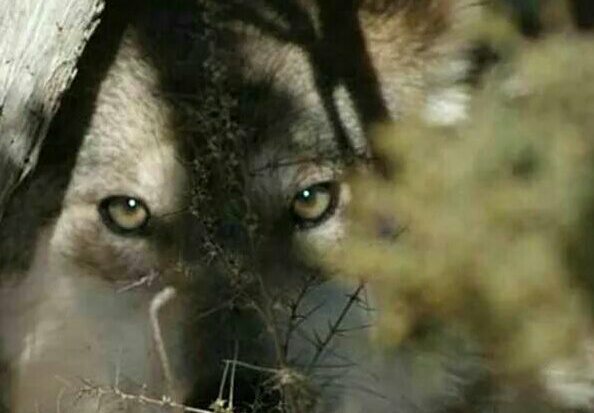 Mexicanwolves.org is not listed as a 501(c) nonprofit organization, but rather is a “collaborative effort of concerned citizens and local, regional, and national conservation, scientific and sportsmen’s organizations using the Internet to help save the endangered Mexican gray wolf.” On the donation site you are directed to Wildlands Network the fiscal sponsor for MexicanWolves.org. From Charity Navigator: Gregory Costello is the executive director of Wildlands Network and is compensated $113,080. 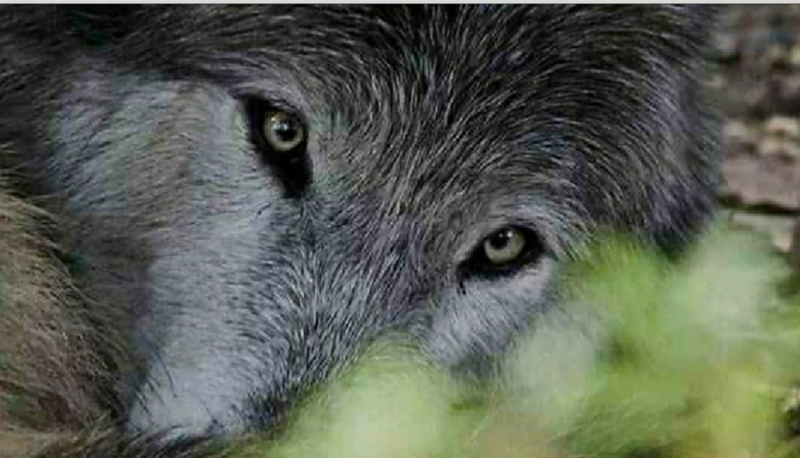 Diane Gallegos – Executive director of Wolf Haven International: $70,000. Organization’s net assests: $1,051,322. Living with Wolves functions on a modest income and is not rated by Charity Navigator. More information can be found here. View their 990 form here. The Red Wolf Coalition is also not rated by Charity Navigator. More information can be found here. View their 990 form here. Copyright © 2017 [COPYRIGHT Intheshadowofthewolf]. All Rights Reserved. Yes it is, and truly disheartening. Thank you.